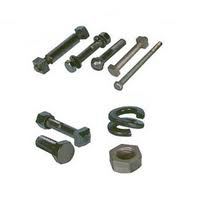 Haji Iron And Steel Works also manufacture fasteners in India since 1986 and is committed to quality and delivery at the best possible prices. Since its establishment, Haji Iron And Steel Works has proactively implemented global strategies to create an internationally integrated business structure. 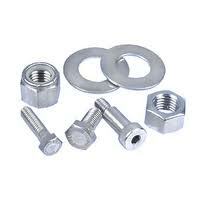 We manufacture wide range of Washers, ASTM Studs. Foundation Bolts, Threaded Rods, Clamps and other allied items confirming to rigid international standards such as DIN, ASTM BS, ANSI, IS and ISO etc. The application of our products is wide and varied. It is used in building Automobiles, Railway Wagons, Railway Engines, Agricultural Pump set, Electronic equipments setting up of steel Cement, Paper, Chemical, Fertilizer & Petro Chemical Plant construction of Hydel, Thermal Atomic Power station etc. 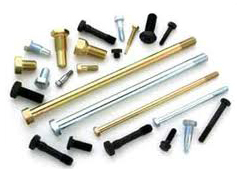 Today we are well equipped and have almost all the in-house facilities for the manufacture of Fasteners and xylam coating.